In our world today, thousands of dangerous animals live as human companions. 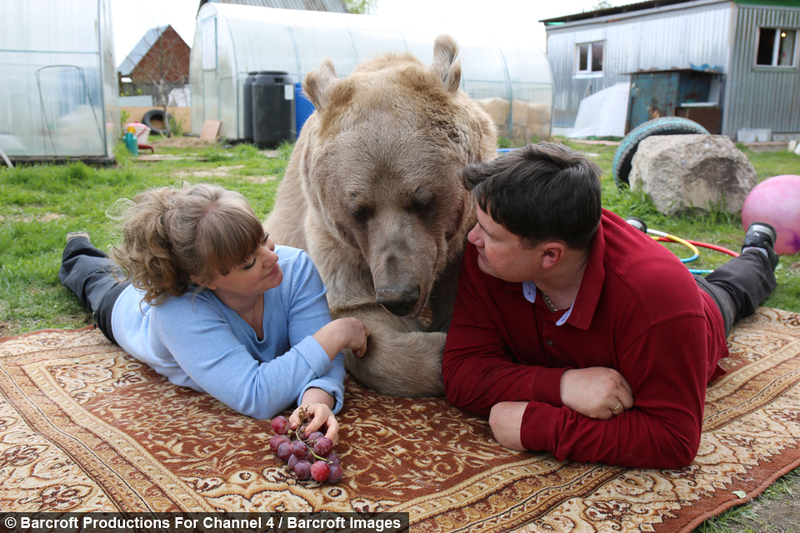 And thanks to a brand new Channel 4 documentary, Bear About the House: Living With My Supersized Pet, we can finally begin to understand why such unlikely animals are chosen to be part of a family. And why some people own a pet that could feasibly kill them. 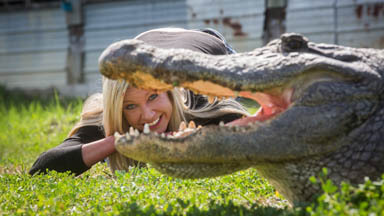 Airing on Monday July 24 at 8pm, the documentary sees director Ross Haley travel the world to meet three incredible pets that have special bonds with their owners: a 55 stone Russian bear, a deadly nine foot crocodile in the suburbs of Melbourne, and a one-ton buffalo called Cody in Minnesota. Ross said: “For the past 10 months, I’ve been meeting a rare breed of animal owner, trying to find out what sort of person lives with such a deadly animal. “With thousands of people around the planet owning dangerous animals, the rise of social media has meant a unique global community has formed and brought the owners out into the public eye. “Despite the obvious danger, it’s clear a wild animal can become part of the family. 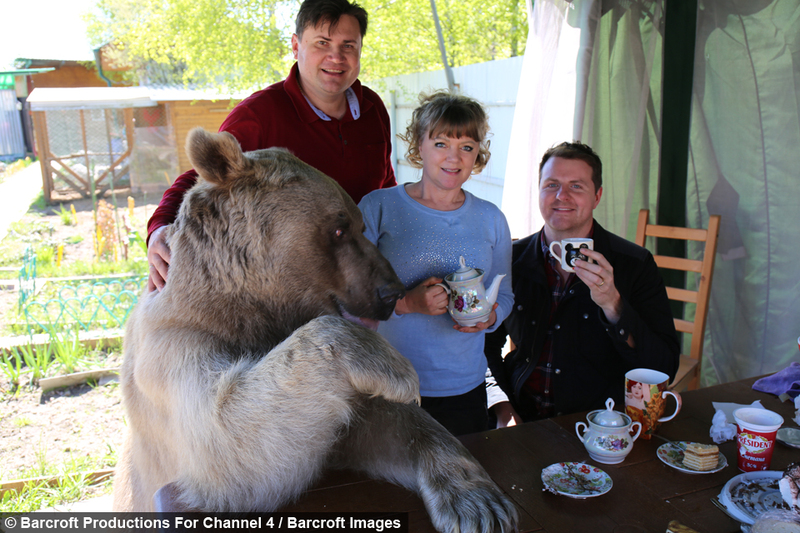 Ross’ first stop is to meet Stepan – the seven foot domesticated bear that belongs to owners Yuri and Svetlana Panteleenko in Moscow, Russia. Stepan has found fame on Instagram for his tame nature and trained abilities and, in the past decade alone, has starred in 32 movies – 20 more than Leonardo DiCaprio. Yuri Panteleenko said: “Our Stepan is 24 years old. “He’s been with us since he was a cub. We took him from the zoo when he was three months old and we have been raising him ever since. “He’s an animal with such weight, he can be really dangerous for a human. Stepan eats breakfast with Yuri and Svetlana every morning and gets through around 25kg of fruit, vegetables, fish and porridge in a single day. In addition to being hired for photo-shoots, music videos and weddings, Stepan likes to relax by cuddling up to his owners on the sofa, and his talents range from playing throw and catch, to watering flowers in the garden. To continue his investigations, Ross journeys to the suburbs of Melbourne, Australia, where Vicki Lowing lives with three saltwater crocodiles. 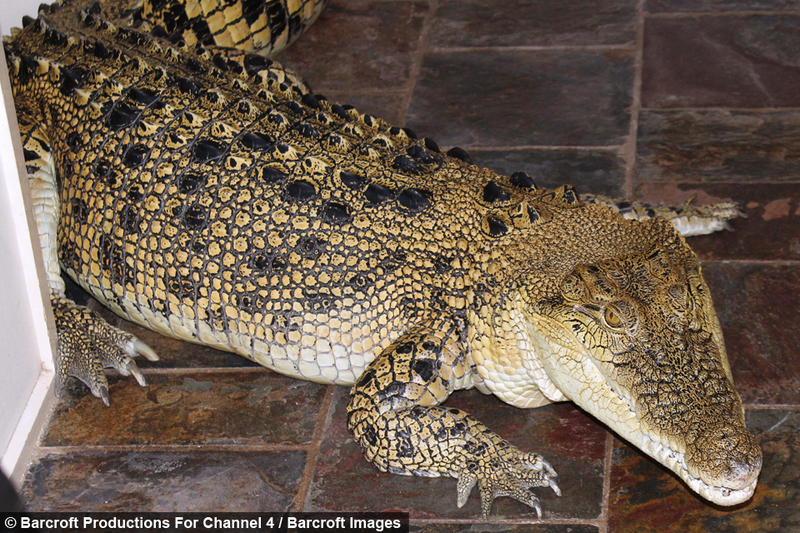 Vicki’s biggest croc is called Jilly – she weighs 18 stones and, although she has the capabilities to grow as long as a limousine, she is currently eight foot long. Vicki sees herself as a parent to her unconventional pets, but she takes things a step further by allowing Jilly to roam the corridors and have a sleepover one night a week in her very own bedroom inside the house. And despite her mother’s concerns, Vicki has a new pond built in her back garden – a facility made specifically with Jilly in mind. 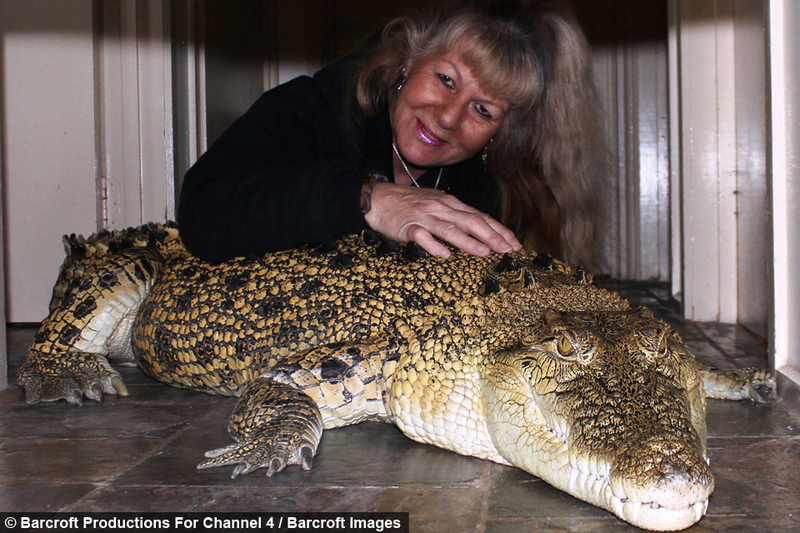 Vicki explained: “They’re not as cuddly as a cat, but there’s just something about them. 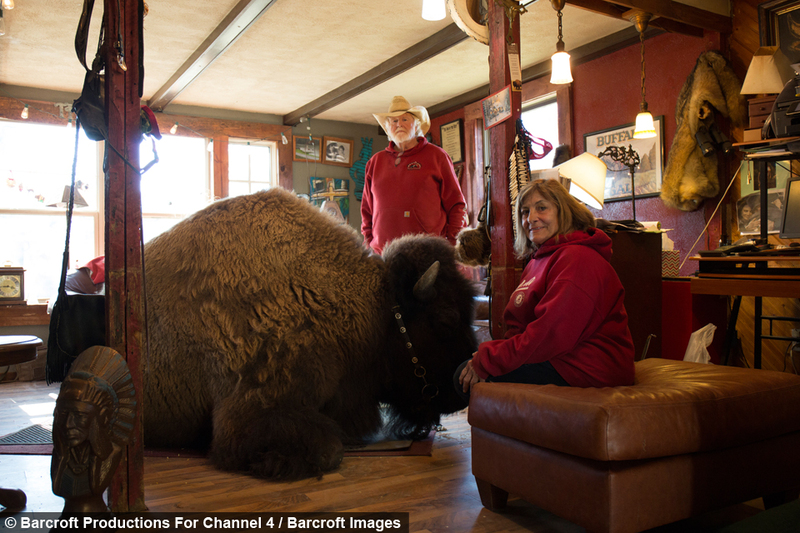 Ross also pays a visit to Mike and Valerie Fogel, a couple in Minnesota, US, who live with their giant one-ton buffalo Cody. 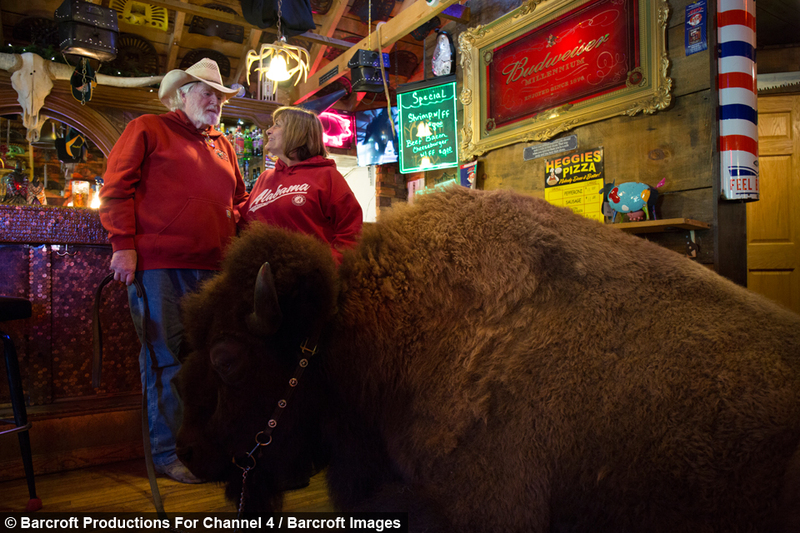 Buffalos are the largest animals in America and, with Cody weighing around the same as a small family car and measuring a towering six feet, it’s hard to imagine him roaming the family house. But that’s exactly what he does. Cody was spared the slaughterhouse when Mike and Valerie decided to raise him just after birth. And Cody is now so well trained that he gets taken for baths at the car wash and goes inside the local pub for a quick drink. Mike said: “If you don’t respect them, you’re going to get hurt. And to round off Ross’ exploration, he meets with Larry Wallach – otherwise known as the ‘Tiger Man of Long Island’. 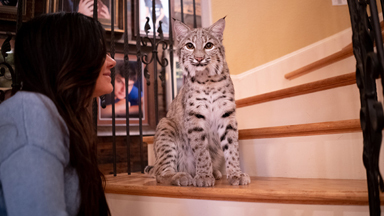 Larry has spent the last 30 years rescuing and temporarily housing thousands of animals and once provided a tiger to pop superstar Michael Jackson.